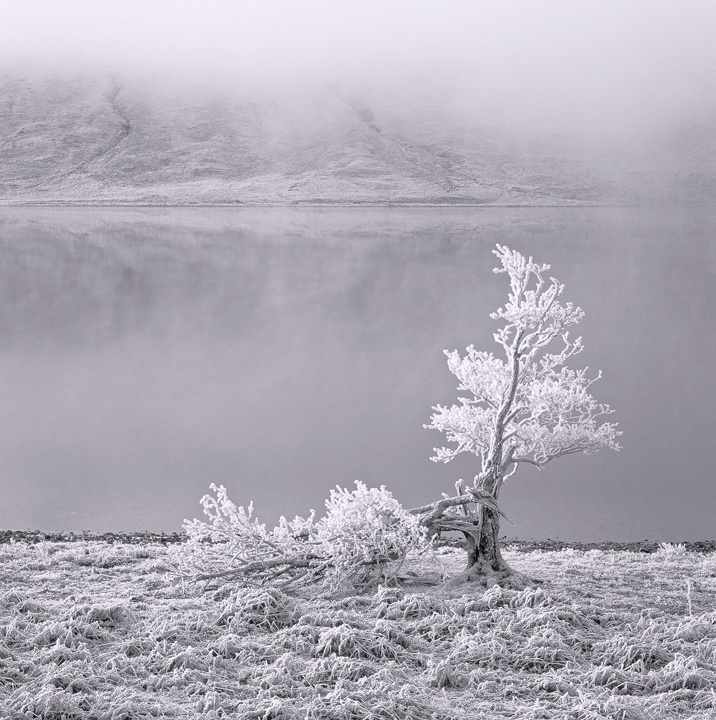 An old tree allegedly struck by lightning and suffering the effects of severe frost damage stands alone at the edge of refridgerated Loch a Chroisg. A freezing mist hangs suspended over the water which serves to intensify the cold to a bone chilling minus 25 degrees celcius. Everything is deathly silent and rigidly frozen.